Some advisors are already familiar with the challenges of cognitive decline. Some advisors are already familiar with the challenges of cognitive decline, whether they’re helping a client prepare for a time when they won’t be able to make decisions for themselves, or plan for the added responsibilities of caring for an impaired loved one. If they aren’t already familiar, they will be. According to the Alzheimer’s Association, one in three seniors dies with Alzheimer’s or some other form of dementia. Alzheimer’s is the sixth leading cause of death in the United States, and almost two-thirds of Americans with the disease are women. Alzheimer’s is the most common form of dementia, estimated to be responsible for between 60% and 80% of dementia cases. Vascular dementia is less common, and often coexists with other forms of dementia. While Parkinson’s disease begins with declines in motor skills ability, as it progresses it often results in dementia due to the accumulation of Lewy bodies, clumps of the alpha-synuclein protein that accumulate in neurons, according to the Association’s “2015 Alzheimer’s Disease Facts and Figures” report. The Alzheimer’s Association estimates that costs associated with dementia, including Alzheimer’s, will reach $226 billion in 2015. By 2050, that could rise to over $1.1 trillion. The National Institutes of Health found funding support for dementia research in fiscal year 2014 was $710 million, with an estimated $737 million to be spent in 2015. Support for vascular dementia and Lewy body dementia in 2014, the first year the NIH provided funding data for those conditions, reached $45 million and $15 million, respectively, and are expected to remain level in 2015. Because the NIH funding categories aren’t exclusive, reported funding for dementia research likely includes support for Alzheimer’s as well. Funding support specifically for Alzheimer’s in 2014 was $562 million and is expected to rise to $586 million in 2015. The changes in the brain that lead to Alzheimer’s are believed to begin as much as 20 years before symptoms appear. “The accumulation of the protein beta-amyloid (called beta-amyloid plaques) outside neurons and the accumulation of an abnormal form of the protein tau (called tau tangles) inside neurons are two of several brain changes believed to contribute to the development of Alzheimer’s,” according to the Alzheimer’s Association’s report. Genetic mutations in three specific genes are also believed to be a cause of Alzheimer’s, but it’s estimated that less than 1% of cases can be attributed to genetics. “These mutations involve the gene for the amyloid precursor protein (APP) and the genes for the presenilin 1 and presenilin 2 proteins. Those inheriting a mutation to the APP or presenilin 1 genes are guaranteed to develop Alzheimer’s. Those inheriting a mutation in the presenilin 2 gene have a 95% chance of developing the disease,” the Association wrote, citing research from the Department of Neurology at Columbia University. Although age is the most common risk factor in an Alzheimer’s diagnosis — most people with the disease are over 65, although some diagnoses are made for younger people — the report noted age alone isn’t responsible. Family history may also contribute to an individual’s chance of being diagnosed with Alzheimer’s. Cardiovascular disease may also play a role. “Growing evidence suggests that the health of the brain is closely linked to the overall health of the heart and blood vessels,” according to the report. “Many factors that increase the risk of cardiovascular disease are also associated with a higher risk of dementia,” including smoking; midlife obesity, hypertension and high cholesterol; and diabetes. Interestingly, some researchers have posited that having more years of formal education builds a “cognitive reserve” in individuals that helps them compensate for brain changes associated with Alzheimer’s, according to the report. However, other researchers have suggested that the increased risk of Alzheimer’s among less educated people is due to other factors: less stimulating occupations, poor nutrition and difficulty obtaining health care. 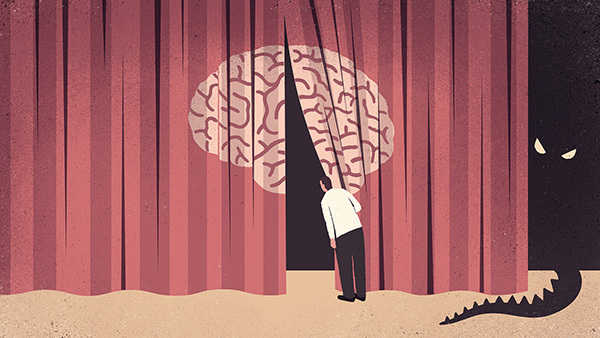 Alzheimer’s and dementia aren’t the only way clients can become cognitively impaired. Traumatic brain injury, especially among high-risk populations like the military or athletes, can result in damage that ranges from mild to severe. In 2010, traumatic brain injuries were responsible for 2.2 million emergency room visits and 280,000 hospitalizations, according to the Centers for Disease Control and Prevention. Between 2001 and 2010, visits to the emergency room related to brain injuries increased 70%. Falls were the leading cause of those injuries (40.5%), and among adults 65 and older, 81% of brain injuries were due to a fall. Members of the military are clearly at a higher risk than the general population for traumatic brain injury. For deployed servicemembers, explosions are the leading cause of TBI, according to the Defense and Veterans Brain Injury Center. In 2000, there were over 10,000 servicemembers diagnosed with a TBI, according to the Department of Defense. In 2014, there were over 25,000, and in the first half of 2015, almost 12,000 servicemembers have been diagnosed with such an injury. The vast majority of the brain injuries diagnosed between 2000 and the second quarter of 2015 were classified as mild, with no long-term side effects and limited immediate effects, according to the DOD. Over the same time period, only 1% of brain injuries were classified as severe, with memory loss that lasts for more than week, and 1.5% were classified as penetrating. While over 82% of servicemembers’ brain injuries were mild, those numbers don’t show how many patients suffered multiple concussions. Chronic traumatic encephalopathy (CTE) is a form of neurodegeneration that could be a result of repetitive brain trauma, according to a 2012 study written by Shaheen Lakhan and Annette Kirchgessner of the Global Neuroscience Initiative Foundation. Lakhan and Kirchgessner studied the incidence of CTE in athletes involved in contact sports. According to the Lakhan and Kirchgessner paper, early symptoms of CTE include declines in attention, concentration and memory, disorientation and confusion, and sometimes dizziness and headaches. As the disease progresses, poor judgment and overt dementia may become more apparent. Severe cases are sometimes accompanied by physical symptoms, like a progressive slowing of muscular movements, a staggered gait, speech impediments, tremors, vertigo and deafness. “The severity of the disorder depends on which clinical stage the individual is in and appears to correlate with the length of time engaged in the sport and the number of traumatic injuries; however, where a single TBI can trigger the onset of CTE remains a matter of speculation,” they wrote.